If you're well and truly absorbed in Australia's live music scene, there is a very good chance that you've caught The Avalanches live recently. First up was their major comeback at Byron Bay's Splendour in the Grass, then it was Falls, and along with Falls was a series of sideshows. Only last week, they were added to Coachella's lineup and replaced Blood Orange on Sugar Mountain's lineup after he withdrew due to family reasons. The energy was electric from the moment I wandered into Melbourne Town Hall. On-stage was a Grandmaster Flash, who was spinning the nostalgic sounds of hip hop in the 90s and early 00s. He amped the crowd up and left us all ready for the main act. 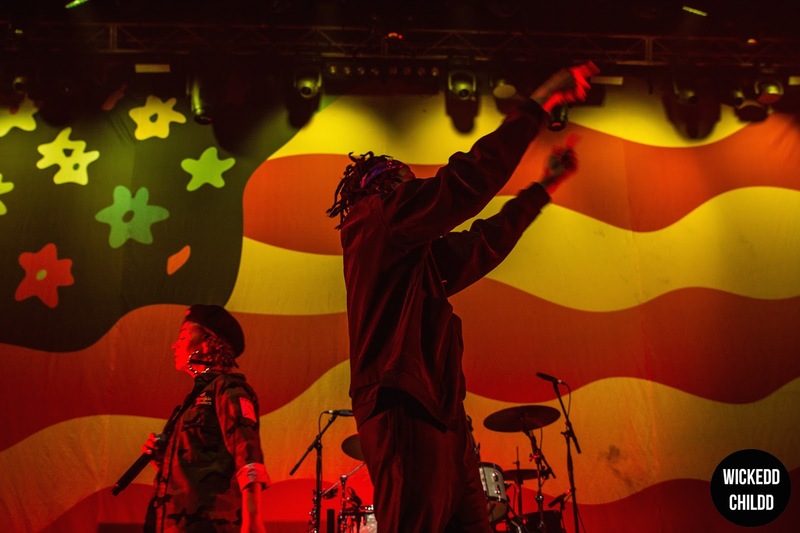 The Avalanches made their way onto stage half-and-hour past their allocated time of 9 pm. Was I mildly annoyed? Of course. But it didn't take me long until my frustrations disappeared. Missing from the set was Robbie Chatter, who announced in 2016 that he suffers from an autoimmune illness. He was replaced with Jonti, as in Jonti Danilewitz from Astral Kids. They opened up with 'Because of Me', which saw an eruption of weird yet wonderful dance moves throughout the crowd. Next up was 'Frankie Sinatra', which in all honesty I found a little weird. The guest rapper they had on-stage with them imitated Danny Brown's quirky vocals, and the whole thing came across a little cringy. I mean, was I expecting him to rap it in his own style? Maybe. But to hear someone do the 'Danny Brown' voice sounded a little awkward. 'Subway' was a highlight, mainly due to they're eye-catching accompany video running in the background. It's the first time I've seen it and I guarantee that you need to watch it right this moment. Along with their guest performers, Oscar Key Sung also made an appearance during the show to perform 'Colours' and then 'Since I Left You' during the encore. The 90-minute marathon set starring Tony Di Blasi and friends was everything the crowd needed to start 2017 on the best note as possible. Good energy and an electrifying atmostphere is all I wanted and it's what I got.